This bucolic area at the heart of France boasts a contrasting landscape of verdant countryside, steep valleys, river gorges and forests, interspersed with picturesque villages – including six of France’s Plus Beaux Villages – towns and cities, many of which have a strong artisanal heritage. Limoges is historically famous for its porcelain and Tulle for lace, while Guéret has focuses on fine art and sculpture. Links to the Knights Templar can be found across the area, notably in the Medieval town of Bourganeuf, and there are many stops on the Santiago de Compostela pilgrimage route. Limoges is the main airport for UK traffic, and Brive-Souillac also receives flights from London City and Paris. TGV trains operate from Paris to Limoges and the Eurostar runs direct there from London. There are also local train services to Lyon, Angoulême, Poitiers, Bordeaux, Toulouse and Cahors. It’s often said that year-round rainfall is a characteristic of the Limousin’s climate but each département has different weather. Overall, the summers are warm and the winters cool-to-cold and wet, depending on the altitude, which ranges from 350-900m. 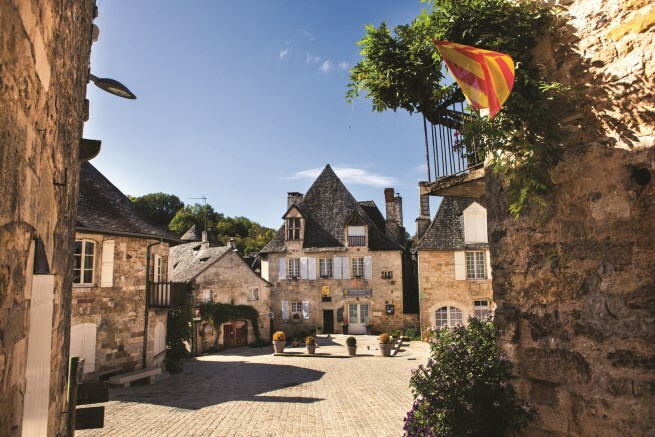 With its three départements, the HauteVienne, Creuse and Corrèze, each covering an area of over 5,000 square kilometres, the Limousin offers something for everyone. You’re in the right are for bargains, as this is one of France’s most affordable areas, with prices starting under €50,000 for town and village houses. Land is cheap so it’s perfect if you’re looking for a smallholding or to develop an equestrian centre. 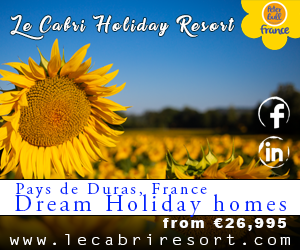 Prices increase as you head further south, towards the Dordogne Valley and areas like Beaulieusur-Dordogne and Brive-la-Gaillarde. This is the ‘Land of a Thousand Lakes’ – in fact, there are 3,000 of them – so watersports and fishing are popular, and properties do have their own lakes. The spectacular Dordogne, Vézère and Auveze rivers are great for kayaking and canoeing. This is also a good area for gîte businesses, due to its proximity to the picturesque Lac de Vassivière, and the myriad family activities on offer. Due to the Dordogne’s unwavering popularity, it’s often viewed as a region in its own right, when it’s actually just a département of the Aquitaine-Limousin-Poitou-Charentes. 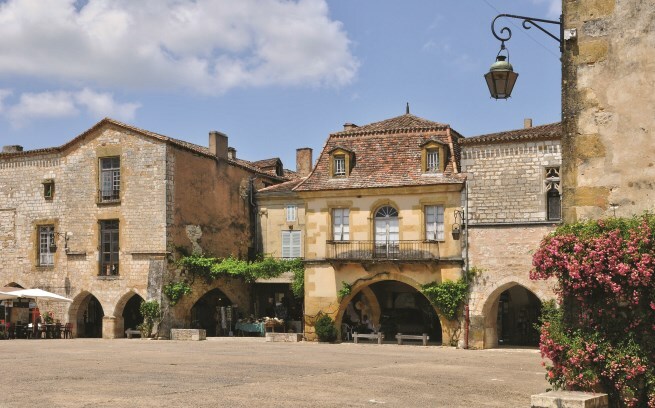 The misconception is understandable, as the Dordogne spans a vast area, which the French call the Périgord, and has much to offer across its four provinces. The Périgord Vert offers lush valleys traversed by rivers, while the Périgord Pourpre (Purple) is primarily vineyards. Then there’s the white limestone of the Périgord Blanc and the Périgord Noir, with its black truffles, which overlooks river valleys. The Dordogne is just under an hour’s drive from Bordeaux–Mérignac Airport, while Bergerac Dordogne Périgord Airport receives low cost direct flights from all over the UK. There are TGV routes from Paris to Périgueux (four hours), Bordeaux (just over three hours) and Toulouse (three hours). Expect a drive of eight-to-ten hours if you’re travelling from northern ferry ports. summers and milder winters than in the UK. Of course, the area wouldn’t boast such verdant valleys if it wasn’t for a spot of rain, with the annual average being 860mm. 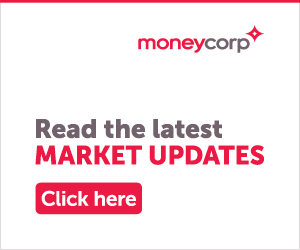 Property pricing varies considerably across the region. The northerly Périgord Vert is the most affordable, particularly towards the Limousin border. Travel further south and the prices increase as you get south of Bergerac. The Périgords Pourpre and Noir are the most expensive areas of the Dordogne, due to their high levels of tourist traffic, and there’s a lot of competition there for gîte businesses. The Vézère Valley boasts numerous Palaeolithic sites, including the famous painted caves at Lascaux. This is also the ‘Land of a Thousand Châteaux’ and many of them are open to the public. You can also take a gastronomic tour to sample the area’s truffles, walnuts, duck and goose, all washed down with the local wines. Outdoor activities abound, including walking tours, cycling, canoeing and horse-riding.